INSEE Cement together with the Divisional Secretariats of Puthukkudiyiruppu, Oddusuddaan and District Secretariat of Killinochchi, supported rebuilding and renovation efforts of the flood-affected Northern Province. 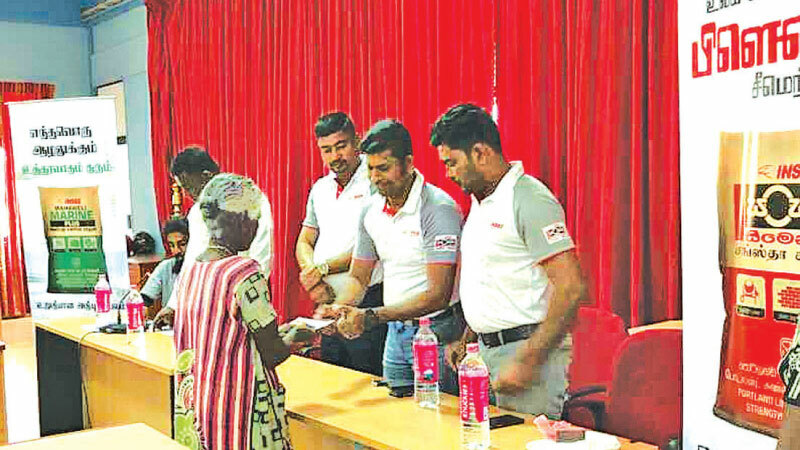 As the country’s foremost cement manufacturer with a strong distribution network established islandwide including the northern region, INSEE Cement took swift action to extend assistance to the affected communities, aligning with the company’s vision of ‘Building the Nation’. To address the most immediate and pressing issue of reconstruction of demolished homes, INSEE Cement distributed ten bags of INSEE SANSTHA each to over 250 displaced families. INSEE SANSTHA, the country’s first-ever blended cement product (blended with Portland Limestone under SLS 1253) is known for producing highly workable and durable concrete, meeting the demand for accelerated construction cycles and rapid rebuilding following the flood. INSEE SANSTHA brand draws from a decades-long legacy as the most recognized home-building cement brand in Sri Lanka, with one in every three homes in the country built with INSEE SANSTHA Cement.